Two weeks ago in Rabat, Morocco, a Morrocan journalist participated in a StoryMaker training. This was his second workshop organized as part of the follow up given by the StoryMaker project. The participant, who we will keep anonymous never expected a story he would do as part of his assignment that week would receive over 40,000 views and spark critical discussion on an ongoing issue in the country. He was eager to find out more about what the students were doing in Rabat and why they didn´t have the money to get back. He went on to interview a group of the students using StoryMaker and produced this story which he posted on Youtube immediately. 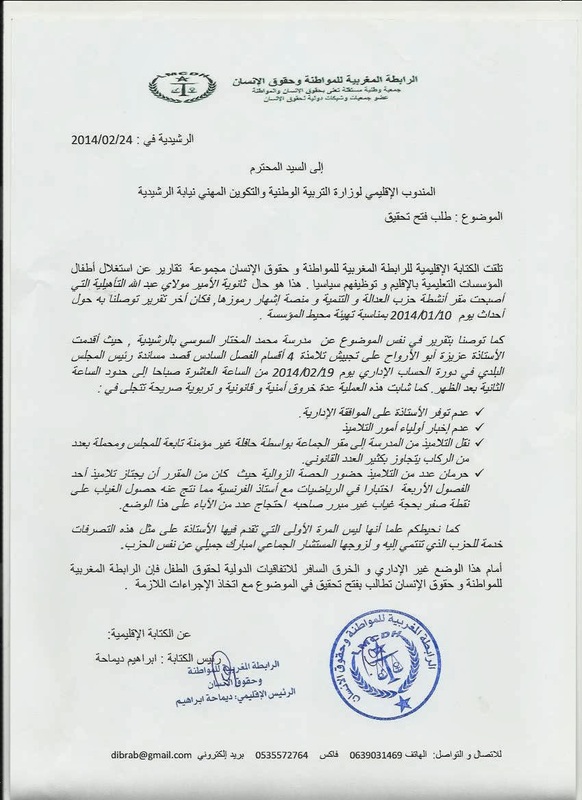 The interview reveals that the students were bribed by the General Union of Moroccan Workers (UTGM) to march in their protest held on International Workers Day in exchange for food, money and funds for transport. According to the students in the interview, the students traveled all the way from Rabat and took part in the protest only to receive nothing but a sandwich from UTGM. The video brings to light an ongoing issue of illegal workings of organizations who bribe Moroccan youth to take part in political manifestations that have nothing to do with youth rights. The students and unemployed youth accept these offers because of what they are told they will receive in exchange. Only minutes after the participant posted the video anonymously, it went viral with over 40,000 views on Youtube and online websites. The video was published on some of the top news sites in Morocco, such as Hesspres, Goud, Hibapress, Alraiy, Cawalisse, Rue20 and received several comments in support of the students, demanding that action be taken against the UTGM. The Istiqlal Party or Independent Party in Morocco posted a reaction to the video claiming that it makes false accusations against the union and the anonymity of the author has led the party to believe the video is fake. The party posted an official statement on their Facebook page denying the facts in the video. Moroccan media and human rights organizations have criticized the use of children in political activities by several political parties, including the Islamic party. This happens in particular during election campaigns. Recently, several parents and media have also criticized the use of children during royal visits. Schools force children, without parental permission, to wait for the passage of the king for hours in the sun.